This is such a sweet little story. Apple Farmer Annie owns her own apple business and we read about her daily adventures preparing to set up at the market and selling her apple goods! The colorful illustrations and recipe for apple treats at the end of the book make it extra special! I LOVE this story! It’s about a precious family on an apple picking adventure. It’s includes lots of non-fiction facts, activity ideas, an applesauce recipe, a poem and a song too! This cute trio try balancing a stack of apples on each of their heads! They pile up 10 and try their best to protect them from all kinds of funny challenges until a collision and everyone ends up sharing apples piled up together! We really enjoyed this book because it does a great job of showing numbers, number value along with a cute, easy to read story. Perfect for reading to littles who stay captured for shorter lengths of time. This story does a great job of sharing the cycle of life in an apple tree. It covers seasons beyond just the Fall- what the apple tree looks like and does in the Winter, Spring, and Summer too! This story of a little goat ends with a sweet surprise. His apple snacking turns out to be an exciting solution to a problem he didn’t know he had! Little fox is on the hunt for mysteriously missing apples! He discovers his thoughtful friends collected the apples to celebrate Little Fox in a surprise party! This one was another favorite! We LOVED the cut out shapes to make new images with each turn of the page. It’s bright, colorful, but simple and fun! It’s a perfect story to pair with shape study and the cycle of life for an apple tree and it’s inhabitants! It’s sure to be a hit! 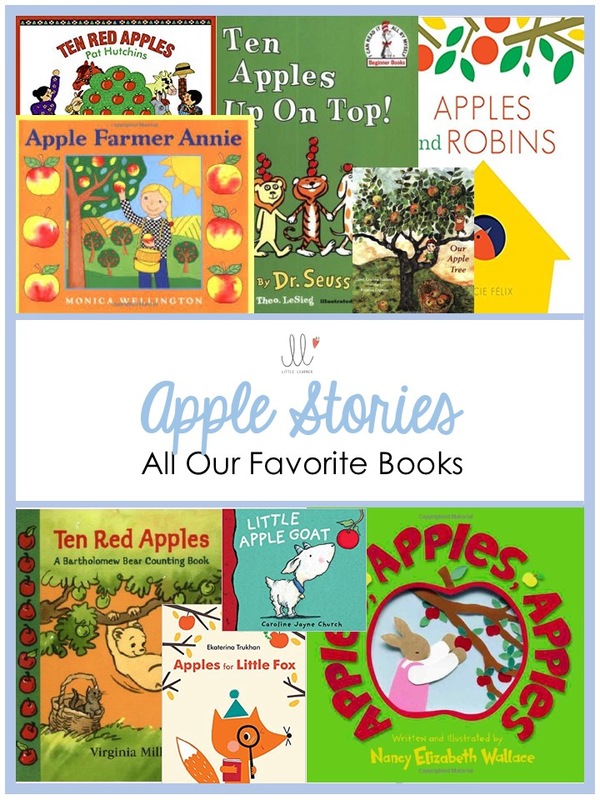 Have another apple story you and your littles enjoy? I’d love to hear all the suggestions! Send them our way! And if you’re looking for some activities to go with those great books I have just the thing for you! Be sure to check out the All About Apples Play and Learn Calendar available on my resource page! 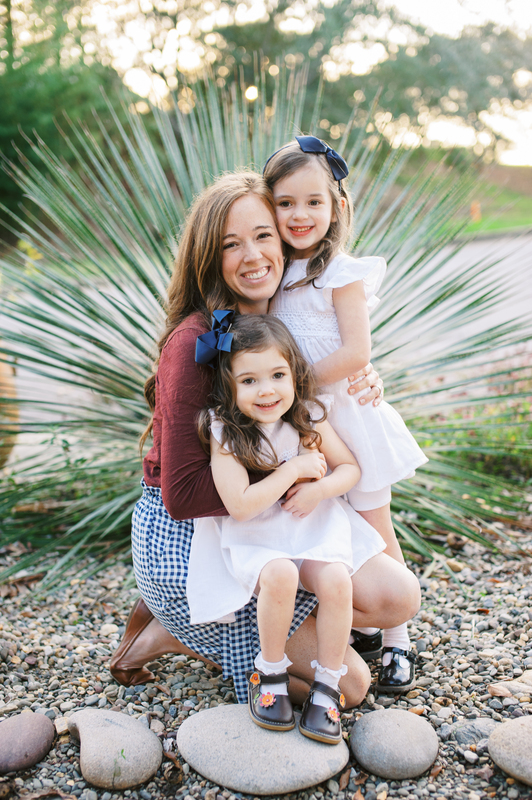 Want Free Printables Straight to your Inbox? Sign up with your email address to receive creative, fun filled printables each Friday!